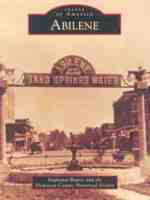 About a generation before Dwight Eisenhower was born, Abilene was at the terminus of the Chisholm Trail and the likes of Tom Smith and Wild Bill Hickok were the lawmen that kept the peace. Ike grew up hearing exciting stories about those "Wild West" days and he developed a love for all things Western. It is easy to see why. 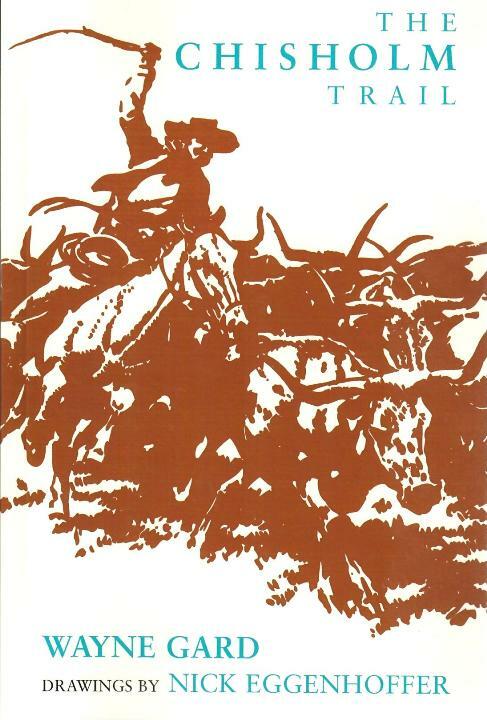 For more than a dozen tempestuous years, beginning in 1867, the Chisholm Trail was the Texas cowhand’s road to high adventure. It offered the excitement of sudden stampedes, hazardous river crossings, and brushes with Indian marauders. It promised, at the end of the drive, hilarious celebrations in the saloons, gambling parlors, and dance halls of frontier Kansas towns. 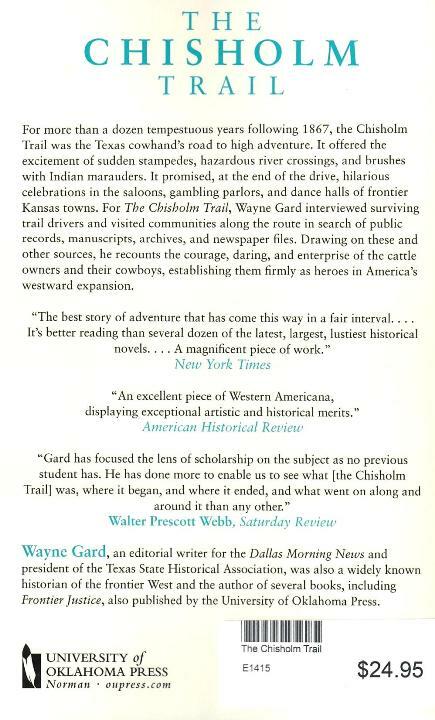 For The Chisholm Trail, Wayne Gard interviewed surviving trail drivers and visited communities along the route in search of public records, manuscript5s, archives, and newspaper files. Drawing on these and other sources her recounts the courage, daring, and enterprise of the cattle owners and their cowboys, establishing them firmly as heroes in the westward expansion. Softcover, 308 pages.